We now have access to a container fork. 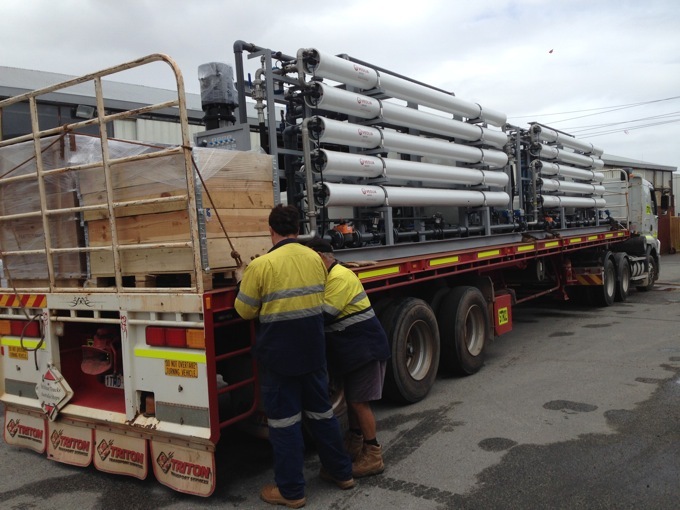 This means we can easily move loaded containers around, load containers on to trucks and stack containers. The containers fork has the ability to transport fully loaded container quickly and efficiently. If you require any container storage please contact us via our web form. These pieces of mining equipment were De-stuffed and stored in our Malaga warehouse. This equipment required a high level of care and attention as it was custom built and very expensive. It is not uncommon for engineering companies to manufacture equipment that then require undercover storage until delivered on site. This is our good example of our mining equipment storage abilities. 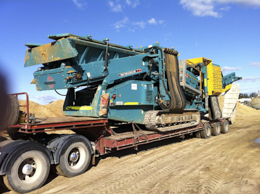 Please contact us if you require mining equipment storage. 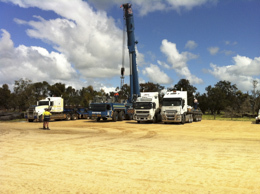 We manufactured custom Crane Mats for our client in Karri. These mats are used on site to facilitate safe and efficient crane usage. These crane mats were produced at 3 metres long and the next order is for 5 metres long. Here is a picture of the crane mats in our yard in Oldbury before they left to go to site. 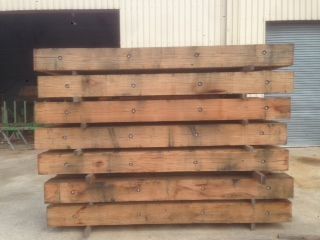 If you require any dunnage made for you, please contact us via our web form. Distribution of your goods from our open storage facility. Our facilities cater for any type of hard stand, no matter how big or small it is. 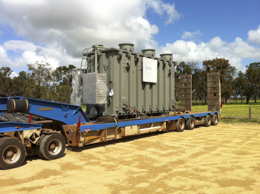 As you can see from this machinery, our hardstand can accommodate all types of mining or electrical hard stand storage. You can store your machine on any one of our 2 properties for any amount of time. 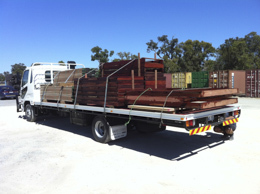 We can also arrange for freight and distribution. This conveyor can be stored on our property, if you have civil or mining equipment, it can be stored on our property for as long as you need. 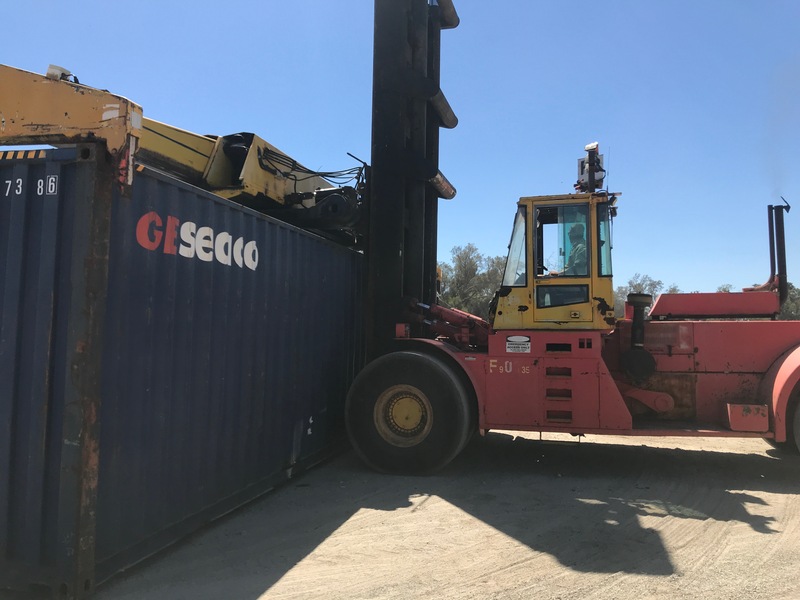 If you have large vehicles – trucks and need to store them in you non-busy period our property can be ideal, this also applies to cranes and heavy equipment. Our hardstand facility caters for any sized equipment.